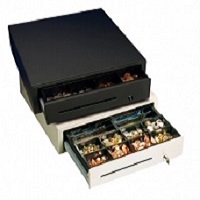 Cash Drawer Star CB-2002 Compact is a well priced drawer to suit most retail environments. 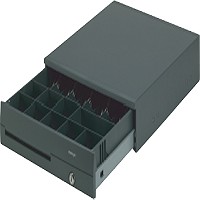 With robust in mind when constructed and solid materials, you can be sure of a secure cash drawer with the Star CD-2002. 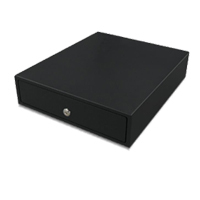 Versatile cash drawer for all PC POS systems. 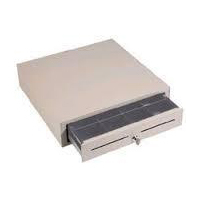 Robust cash drawer with long-life steel ball bearings. 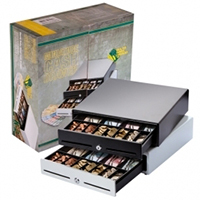 8 coin compartments, 8 bank note compartments, 1 cheque compartment. 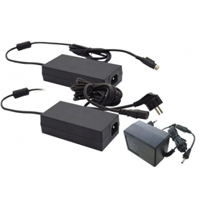 Control via peripheral circuits from Star and Epson printers. 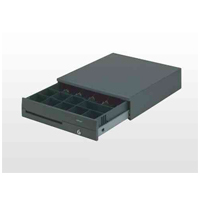 3-position lock for locking or manual emergency opening of the cash drawer. 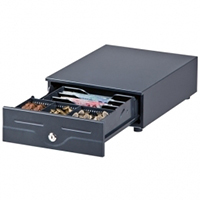 The Star CB-2002 cash drawer has a removable insert allowing you to easily secure cash overnight in a safe. 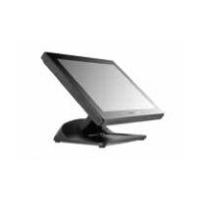 Dimensions 410 (W) x 415 (D) x 114 (H) mm. 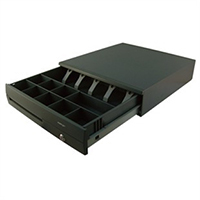 All extras can be added below or to order as a separate item click HERE to view our Cash Drawer accessories. Please select the choice of colour from the drop down box prior to adding to basket. 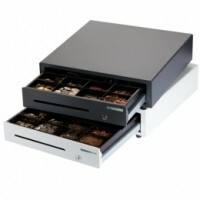 More information on this Cash Drawer can be found HERE.